As a UK/EU student, you are required to pay your fees in full by the 5th November 2018 If you area January start student your fees are due on 25 February 2019. Where you are unable to make payment by this deadline you will find that progressively you will be restricted from our facilities and systems. The restrictions or Holds are automatic and are imposed by our systems. To ensure that you are not affected you should ensure that you arrange funding with Student Finance England or your Sponsor before you enrol. If you will be paying your fees yourself you need to ensure funds are transferred to us a soon as possible and you request assistance from us if you have trouble raising the funds. UK/EU undergraduate private fee paying students, who pay their tuition fee in full by the payment deadline will be offered a 3% prompt payment discount. If you are a post-graduate or international student, you need to ensure that we are notified of your funding arrangements if this is likely to be through a Sponsor. In the event that you are unable to pay your fees by the required due dates, you will find yourself going through our Deregistration process. This will result in you being removed from our University records as an enrolled student and if you are an International student you run the risk of being reported to the UK Visa Authority. Please ensure that provision is made for your funding so that you do not find yourself experiencing unnecessary stress at a time when you need to focus on your studies. If your Postgraduate loan amount is not sufficient to cover your tuition fees you will be expected to meet any shortfall. If your Doctoral loan amount is not sufficient to cover your tuition fees you will be expected to meet any shortfall. Professional and career development loans are bank loans that can be used to help pay for work related learning. The Professional and Career Development Loan scheme is closing. You must apply by 25 January 2019. This will not affect your existing loan. You can borrow between £300 and £10,000 to help support the cost of up to two years learning (or 3 years if they include 1 year of work experience). Loans are usually offered at a reduced interest rate and the government pays the interest while you study and for one month after you leave your course. After this time, you start repaying the loan and interest. Because the professional and career development loan is a commercial product, they should be considered as an option once all other student funding options have been investigated. 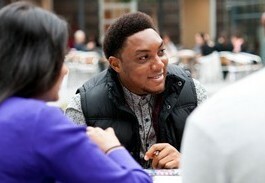 For further information on financial assistance to support your learning, please visit http://www.gov.uk/career-development-loans or call the National Careers Service on 0800 100 900 to find out whether a loan is the best option for you. Our learning provider registration number is 2118.